Renewable electricity contributed an all time high of 9.6% of the UK’s grid mix in the second quarter of this year, statistics released on Thursday by the Department of Energy and Climate Change have revealed. The 7.86TWh (terawatt hours) contributed by green energy generators represented a 50% rise on the same time last year. The surge in green energy was led by the wind energy sector, which saw output more than double in 1 year, such as the off-shore turbines in N Lincolnshire ( see left) and hydroelectricity where output rose by ¾ year on year. Nuclear energy also saw a large rise, increasing by more than 1/3 to 17.44TWh. It needs to be said that wind energy output was relatively low during the second quarter of 2010, while the mild spring will have contributed to the fall in overall energy use. 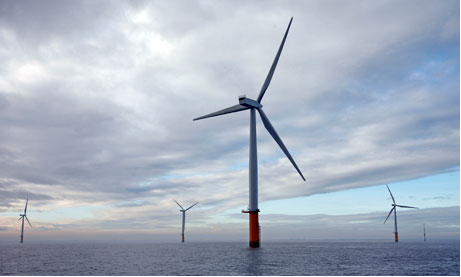 However, supporters of renewable energy will also point to a steady increase in capacity evidenced by the opening of new offshore wind farms and biomass power plants as one of the factors behind the sector’s strong performance. IANJIN, China — China’s frenetic construction of coal-fired power plants has raised worries around the world about the effect on climate change. China now uses more coal than the United States, Europe and Japan combined, making it the world’s largest emitter of gases that are warming the planet. While construction has stalled on a new generation of low-pollution power plants that turn coal into a gas before burning it in the US , China has already approved equipment purchases for just such a power plant, to be assembled soon in a muddy field here in Tianjin. This is not to say that China has got it all right. There are still old inefficient power stations producing electricity and some of the better ones are not being used to their best effects. Only half the country’s coal-fired power plants have the emissions control equipment to remove sulphur compounds that cause acid rain, and China has not begun regulating some of the emissions that lead to heavy smog in big cities. Recent international reports have cut its forecast of the annual increase in Chinese emissions of global warming gases, to 3 percent from 3.2 percent, in response to technological gains. But by continuing to rely heavily on coal, which supplies 80 percent of its electricity, China ensures that it will keep emitting a lot of carbon dioxide; even an efficient coal-fired power plant emits twice the carbon dioxide of a natural gas-fired plant. So the next step is who will be first to remove all CO2 from thermal energy production? Many countries, including the UK, say they are investigating it strongly. But China has just built a small, experimental facility near Beijing to remove carbon dioxide from power station emissions and use it to provide carbonation for beverages, and the government has a short list of possible locations for a large experiment to capture and store carbon dioxide. But it does not stop there. China is making other efforts to reduce its global warming emissions. It has doubled its total wind energy capacity in each of the past four years, and is poised to pass the United States as soon as this year as the world’s largest market for wind power equipment. China is building considerably more nuclear power plants than the rest of the world combined, and these do not emit carbon dioxide after they are built. Want to know how green it can get? Samso, an island off Denmark took up the challenge. Ten years ago, islanders drew nearly all their energy from oil and petrol brought in by tankers and from coal-powered electricity transmitted to the island through a mainland cable link. Today that traffic in energy has been reversed. Samsingers now export millions of kilowatt hours of electricity from renewable energy sources to the rest of Denmark. In doing so, islanders have cut their carbon footprint by a staggering 140 per cent. And what Samso can do today, the rest of the world can achieve in the near future, it is claimed. Check out this Guardian article to see more. Then click on the piccie to see the sights! 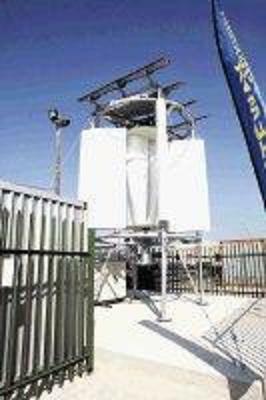 The swiss firm, Greentecno, has supplied a test generator free of charge to CAPE Town’s N2 Gateway low-cost housing project. Koton said the design of the wind turbine allowed it to start producing power at much lower wind speeds than conventional turbines.